I've only ever been to one football match. It was in Berlin, and the game itself bored the hell out of me, but I did enjoy the bratwurst and currywurst, washed down with a nice German bier (foreign languages are a talent of mine). 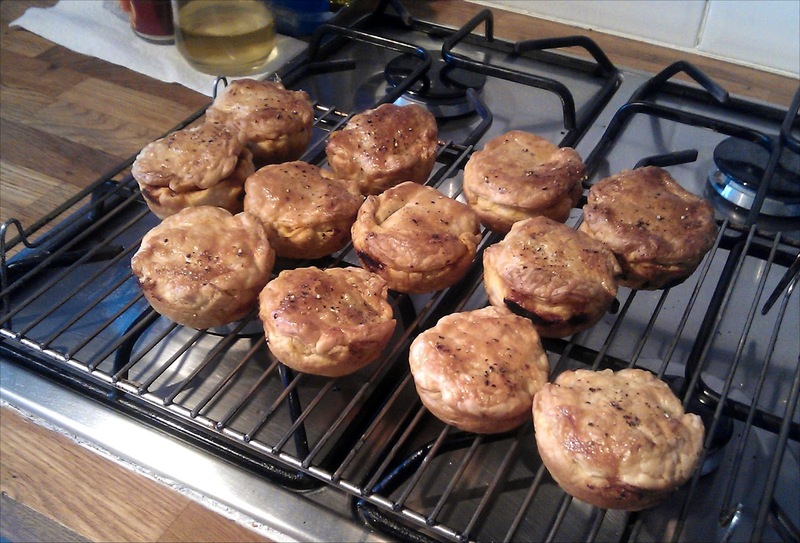 I understand that here in the UK, one of the most popular snacks at football stadiums is the chicken balti pie. I'd never tried one, but a loyal member of my fan club recently suggested that I tried to create one. It was an intriguing prospect. A few weeks earlier, another event had occurred which also fired my imagination. I was in a Chinese restaurant enjoying some dim sum, and picked up what I thought was a char siu sou (mini pastry filled with roast pork and hoisin sauce). But no, we had been tricked... it was actually filled with curried lamb! It wasn't the best thing I've ever eaten, but I loved the idea of expecting one thing but tasting something completely different. Then I had a vision. 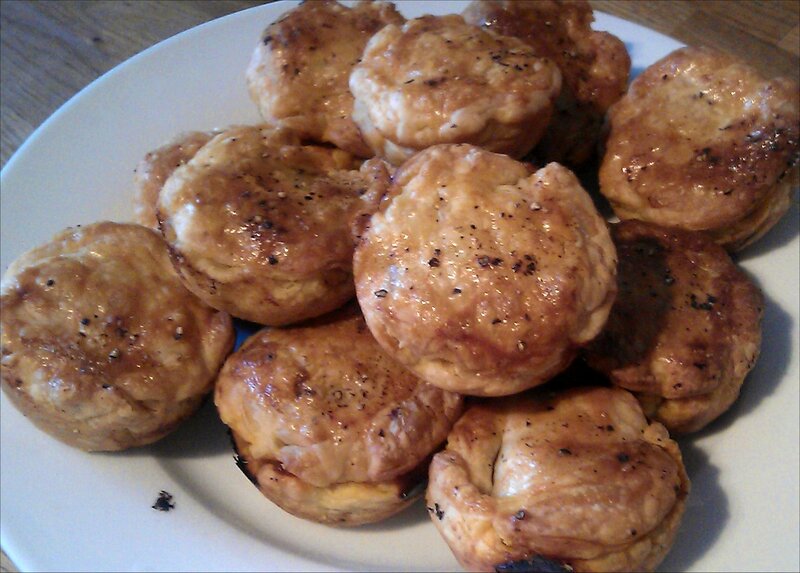 A vision of a big plate of individual pies, identical in appearance, but with different fillings. But not just any fillings... different types of curry. Ranging from mild and sweet, to hot and fiery. I imagined the expression on people's faces as they nervously nibbled the edge of the pie... followed by either obvious relief or contorted agony. 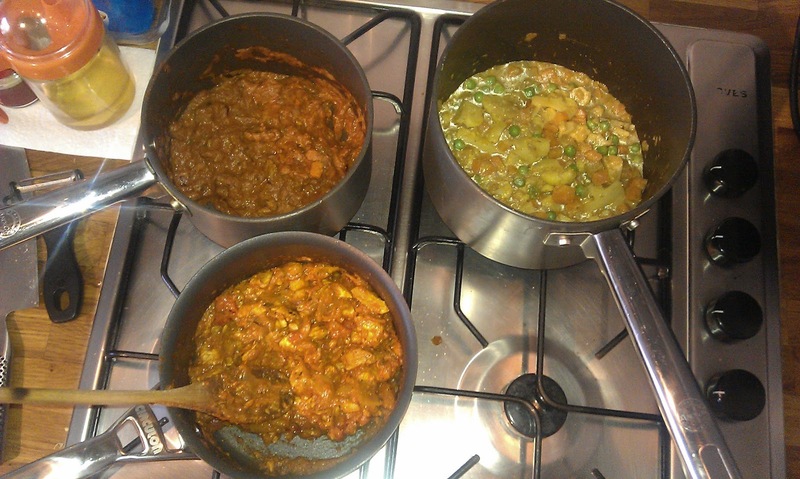 So, I took three curries... a creamy vegetable korma (home made), a chicken balti (left over takeaway), and an extra hot lamb vindaloo (bought from Sainbury's and spiked with extra chillies, hot sauce, and black pepper). I made sure that everything was cut up nice and small. 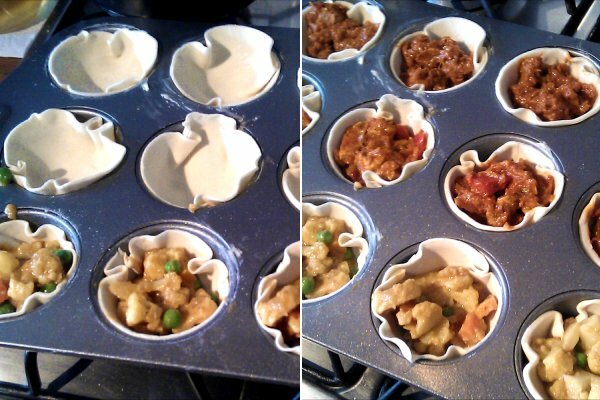 I greased a muffin tin, rolled out some puff pastry, and cut it into discs to make the bottom of the pies. I waited for the curries to cool before spooning the mixture into the pies. I put a further disc of pastry on each pie, brushed them with a mixture of egg yolk and melted butter, and put them in the oven at 200 degrees. I was getting hungry, but luckily there was quite a lot of leftover curry for me to eat while these bad boys were cooking. Considering that I don't really bake, these looked pretty tempting! 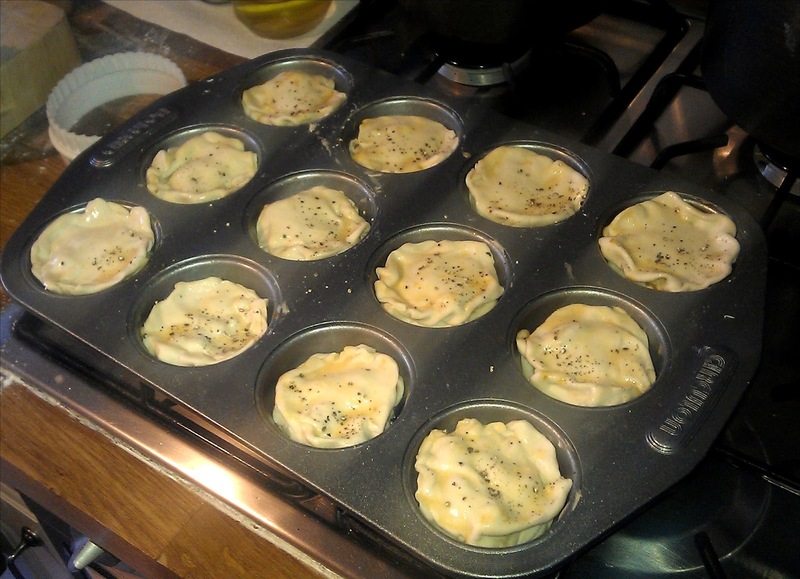 And after a couple of minutes of cooling, they were ready to eat. Not only did they look good, they tasted good. Damn good. Yum, yum, and thrice yum. I look forward to hearing some of your own ideas! *disclaimer - The Fish Finger Sandwich blog does not condone tricking people into contravening any dietary restrictions, self-imposed or otherwise.